(CNS): A man trying to break into a downtown George Town restaurant was caught in the act by the police early Friday morning. The RCIPS said that the 53-year-old man is now in custody at the police station after being apprehended at around 1:31am as he was attempting to gain entry into the Fish Shack, located on North Church Street on the waterfront. The officers were said to be conducting proactive duties when they observed the man trying to get in to the premises. The police became suspicious of the man’s activities and went to investigate. Following what appears to have been some resistance from the would-be burglary suspect he was arrested not only on suspicion of attempted burglary and going equipped for stealing but also for assaulting police. “This clearly demonstrates the dedication of the RCIPS in our commitment to fighting crime. The officers involved are to be commended,” said Chief Inspector Angelique Howell, officer in charge of George Town. Meaning: The first generation in a family makes money (goes from rags to riches); the second generation holds or keeps the money; and the third generation squanders or loses the money (and so goes back to rags). Although this expression as defined above is not a rule per se, it is a generally accepted principle that may occur if due care and attention is not taken to ensure the wealth and entitlement is not taken for granted in future generations. And although this expression as defined relates strictly to a family situation, given our history from ‘rags to riches’ here in Cayman can be said to have started approximately 40-50 years ago, it could be said that we are indeed now in the 3rd generation and therefore heading back to ‘rags’. Although perhaps a little dramatic, I think it’s fairly obvious to anyone who’s been paying attention that we’re now squandering (or perhaps I’m a putting too positive a spin on this and in fact it’s all already been squandered!) the vast wealth we amassed here in Cayman – and I’m not just speaking to the vast financial wealth that we have previously been blessed to have enjoyed but I’m also suggesting that wealth as pertains to our reputation is also now suffering alongside our finances or lack thereof. Although none of this is able to be ‘fixed’ overnight, it is a crying shame that we took the hard work of those who came before us seemingly for granted. What I find the most upsetting about being in the situation we now find ourselves in is that there really is no good reason to be in this situation and the only reason I can see is that we got greedy and we got lazy and we assumed that our ‘product’ (whether financial or tourism related) was so desirable that we needn’t bother maintaining it. We assumed it was a license to print money, which we seem to have freely done. We didn’t think we’d have a rainy day so there didn’t seem any good reason to put anything aside for the mythical rainy day which is now upon us. I am ashamed to have been a part of this as, despite my utter disappointment that we do find ourselves in this mess, I cannot sit here and say that I haven’t benefitted from the excesses of our past. We are leaving nothing for the next generation except a string of excellent examples of what not to do, and so perhaps we’re leaving them with something quite valuable after all. I do live in hope that we will stop nurturing the sense of entitlement that has taken root in our society, an attitude perfectly summed up after a near miss with a hurricane some years ago that went on to devastate some of our neighbours when someone was overheard saying that ‘we had been spared because we had been set apart because we were special’. This is an outrageous thing to say given, if you look at it from the angle of our neighbours, we are essentially saying we were better than them, hence more deserving of being spared. We cannot continue to think ourselves so special anymore; we’ve proved that we really are no better than anyone else and perhaps less deserving given the blessings and opportunities we’ve taken for granted and squandered. We need to pause – take a moment to reflect on what’s gone before and think sensibly about where we’d like to be and be realistic about the work it will take to get there so that we can break this cycle and not end up back in rags for the sake of the next and subsequent generations. (CNS): Following revelations during the recent Finance Committee hearing that officials from the Information and Technology Authority (ICTA) may have manipulated the recruitment process in at least two posts, Cabinet has now received a report. However, government has not yet released the document. The minister with responsibility for the authority ordered the regulator’s board to look into the situation and to report back after members of the Legislative Assembly raised concerns about appointments being made, at least one of which was a work-permit holder, before deadlines on adverts running in the local and international press, making a mockery of the open recruitment protocols for government jobs. Kurt Tibbetts, who heads up the ministry of Planning, Agriculture, Housing and Infrastructure which includes the ICTA, told members in Finance Committee that he would order an enquiry into what happened and report back to the country’s parliament. However, Tibbetts has not yet released the content of the report, which the government has had since at least Tuesday, when ministers meet for their weekly Cabinet session. Efforts by CNS to contact Tibbetts for comment on the report and any subsequent action were unsuccessful but the chief officer in the ministry responded to enquiries with a short comment. “The ICTA Board was requested to undertake a full review of the matters highlighted at Finance Committee. A detailed report has been received and been discussed by Cabinet. Further announcements will be made in due course,” Alan jones said. Ezzard Miller, the MLA for North Side who had raised the questions that led to revelations about the irregularities, said that he had not been contacted by the minister and had not seen the report but he was far more concerned about disciplinary action being taken. The independent member said that he wanted to see action taken and some accountability for the director's actions, which he maintained had deprived local people of having a fair chance at the jobs. Miller warned that if this did not happen, he would be seeking to have the ICTA director answer directly to the LA for contempt. 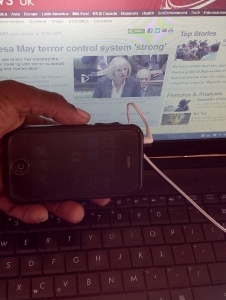 (CNS): The lack of judicial oversight on warrants issued to the RCIPS to covertly monitor, wiretap and intercept phone calls, messages and emails mirrors the process in the UK, the British overseas territories minister told reporters when he visited the Cayman Islands this week. 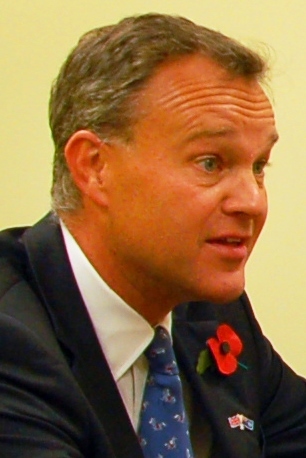 Mark Simmonds said that the governor’s role here in Cayman was akin to that of the British government’s Home Secretary – a political post currently held by Theresa May– who is responsible for signing off these controversial warrants in the UK. The minister said the warrants would only ever be granted in very exceptional circumstances relating to very serious crime and terrorism. However, there is wide concern in the community that the lack of judicial oversight will leave the process open to abuse, as the RCIPS widens the net of the types of technology it can monitor. In a recent memo sent by the Information and Communications Technology Authority director to local telecommunications firms, law enforcement authorities are planning to widen their spying net and wiretaps to include all kinds of electronic information. The memo, sent on 15 October, calling the private companies to a meeting indicates that the local authorities are planning revised regulations that will allow police to not only tap phones but wider communication networks as well. While this is supposed to assist the RCIPS in legal investigations, without judicial oversight or a data protection law there are concerns that they will be able to collect masses of information with their newly purchased spying equipment. 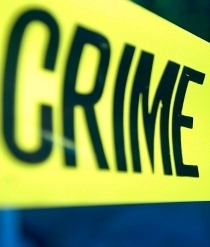 During his stay Simmonds noted the concerns about increasing crime in Cayman as he acknowledged recent spate of violent crimes. He said that the UK was working with the Cayman authorities to help and tackle the concerns, but he echoed common sentiments about everyone having a part to play in preventing young people from criminal behaviour, during a speech at a Chamber of Commerce reception on Tuesday night. Simmonds said he was pleased with the level of political support for improving the conditions under which prisoners are held, as well as the way in which they are rehabilitated, prepared for release and reintegrated into society. “Failing to tackle crime and re-offending will have a profound impact on an economy that is so dependent on tourism. Safety and security are cornerstones of economic success. We cannot focus on jobs and growth and ignore them. If Cayman isn’t seen as being safe, tourists and cruise ships, businesses and investors will go elsewhere. It’s a problem the UK understands only too well and continues to stand ready to help in any way we can,” he said. (CNS): The public have just one more week to nominate the person they think should be this year’s Young Caymanian Leader. The award programme, which recognizes successful Caymanians between the age of 20 and 35, is now in its fifteenth year. Anyone can nominate a young Caymanian, including parents, siblings, co-workers, fellow church members, friends or spouses, but the proposed names must reach the YCLA Foundation by next Friday 15 November. Nominees must demonstrate strong leadership qualities through their personal and professional accomplishments. Determining factors for selection will be character, professional achievements, community involvement and commitment to helping others. Previous recipients include Olivaire Watler in 2000, Dax Foster in 2001, Sara Collins in 2002, Steve Blair in 2003, Cindy Scotland in 2004, Jonathan Tibbetts in 2006, Canover Watson in 2007, Stephen Ryan in 2008, Elroy Bryan in 2009, Collin Anglin in 2010, Natalie Urquhart in 2011, Garth Arch in 2012 and most recently Shomari Scott, who was awarded the YCLA in 2013. 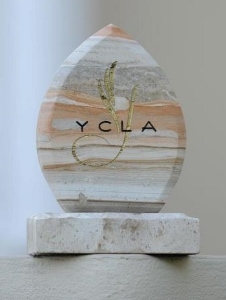 The YCLA is decided by a board of 15 Cayman leaders, who were selected for participation based on their established positions in the community as well as their ability and willingness to serve as role models for the younger generation. The award will be presented during the annual gala evening awards at the Ritz-Carlton on Saturday 8 March and will be televised live on Cayman27. Nomination forms are available on the Foundation’s website, by calling the Foundation on 516-1111 or emailing info@ycla.ky. (CNS): The UK Foreign and Commonwealth office’s overseas territories minister, who also has responsibility for Britain’s relationship with the Caribbean, has said he does not support the CARICOM claim for slavery reparations. Speaking to the media in Jamaica on Wednesday after his one-day tour of the Cayman Islands on Tuesday, Mark Simmonds said that Europe was not in a financial position to compensate the region for human atrocities that were perpetrated two centuries ago. Fourteen countries from the Caribbean region are, however, pursuing a legal claim against Britain, France and the Netherlands for their part in those atrocities. During his first official trip to Jamaica Simmonds said he could not support the move. Simmonds said he believed the United Kingdom’s rejection of the scourge was reflected in its relentless lobby for the framework set up by the United Nation to eradicate modern day slavery. Instead of focusing on reparations, the minister said the United Kingdom was keen on assisting Jamaica revitalise its economic base. According to The Gleaner, politicians in Jamaican were offended by what they said were his off-hand 'colonialistic' remarks. (CNS): A category five super typhoon has struck the central Philippines. Typhoon Haiyan, which is the strongest storm of the Pacific season so far and may be the strongest in the country’s history, was packing winds of up to 195mph as it raced across a string of islands, setting off landslides and knocking out power and communication lines in several provinces. At least four people are reported dead. Almost three quarters of a million people have been forced to evacuate and many residents who were already homeless due to a recent earthquake were impacted by the powerful cyclone. 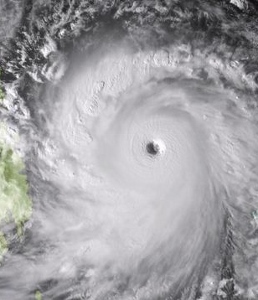 This is the third super typhoon with maximum sustained winds of at least 150 mph to strike the country this season. Forecasters said Haiyan was expected to move out over water south of Mindoro island Friday evening and into the South China Sea on Saturday, heading toward Vietnam. (CNS): The NCVO issued a wide thank you this week to everyone who has promised to donate cash to their organisation, which supports a number of charities dedicated to the care, education and well–being of children and families in need. As a result of support from many private sponsors and volunteers, as well as the line-up of artists, the charity was pledged around CI$128,000 during its annual radio/telethon on 2 November. The charity is now appealing to all those who have not yet honoured their pledges to send them in by post or drop them into the offices in George Town. For more information, to pay a pledge or to make a donation to the NCVO call 949-2124 or email ncvo@candw.ky, post cheques to P O Box 1140, Grand Cayman, KY1-1102 or drop them into the offices at the Richard Arch Children’s Centre, 90 Anthony Drive (off Smith Rd, behind Pasadora Place) between 8:30am & 4:30pm Monday-Friday.